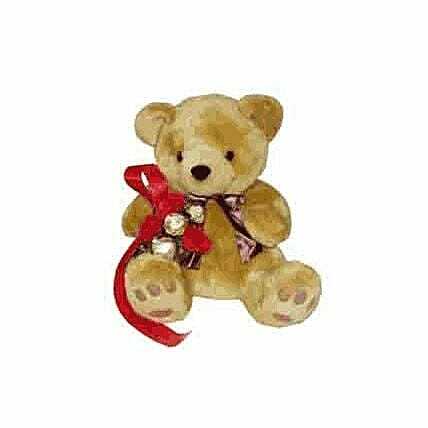 A plush golden brown bear with a satin ribbon and also a little extra gift around his neck ï¿½ 5 delicious Ferrero Rocher hazelnut chocolates. Who will be the lucky recipient of Charlie Bear and his chocolate surprise? Whoever it is, they will always remember you fondly.